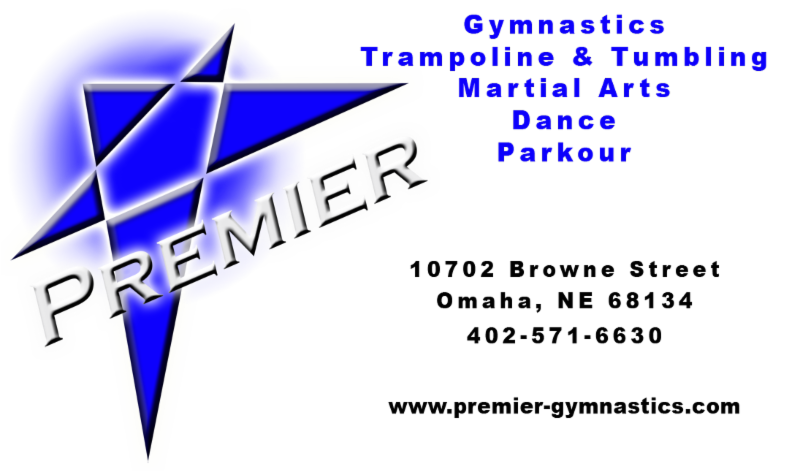 Make plans NOW to have your children or your friends' children attend Premier's Spring Party and/or Sleepover. Boys and girls ages 5-12 are welcome to attend. The party begins Saturday, April 28th at 7:00 pm and goes until 10:00 pm. Kids will learn to enjoy gym play time, and lots of fun and games, hot dogs and drinks. Those who stay for the sleepover will continue with more fun and games, gym play time, and a movie. Kids spending the night will be picked up Sunday morning before 8:45 am. SAVE $10 if you register before April 20th. The LAST day for registration is WEDNESDAY, April 24th. WALK-INs will NOT be accepted.